All-Star Productions is your One Stop Entertainment Shop! We are fully insured and licensed with the state of Arizona. "Over 32 years of quality entertainment at reasonable rates!" 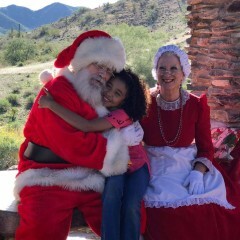 Arizona's best real bearded Santa & Mrs. Claus - See the bio for free services! Disc jockeys, air brush tattoo artist, bands, balloonist, Batman, casinos, caribbean, caricaturists, characters, clowns, Easter Bunny, elves,Elvis, face painter, fortune teller, dunk tank, Hawaiian dancers, harpist, hypnotist, inflatables, juggler, jumps, leprechaun,mariachis, mime, obstacle course, petting zoo, pianist, pony rides, singing telegrams, slides, Spiderman, string trio, super heroes, human directionals, & more! 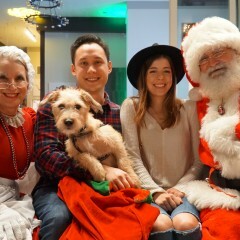 Mr. & Mrs. Claus were absolutely perfect! What a blast my baby's first birthday was, all thanks to All Star Productions! Mr. & Mrs. Claus were pretty Perfect! We both enjoyed performing for you in a simply gorgeous outdoor setting. I must say, all your kids were fabulous as well. Rates are great! Worth every penny and then some! Easily took the Party from an 8 to a 12! 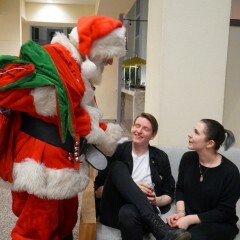 For social media folks, Santa and the Mrs, definitely provided a ton of great photo opportunities for all ages. 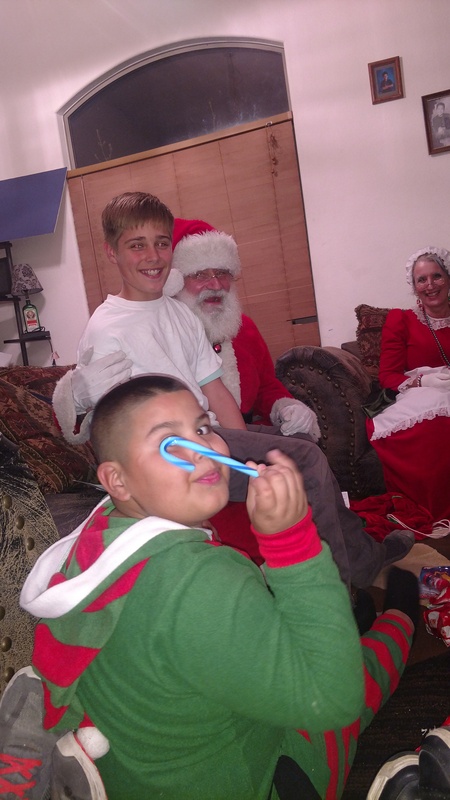 We were pleasantly surprised to see the adults enjoying Santa just as much as the kids! Santa arrived right after we read The Polar Express to the kiddos which was excellent because the importance of believing was "fresh" on the mind! 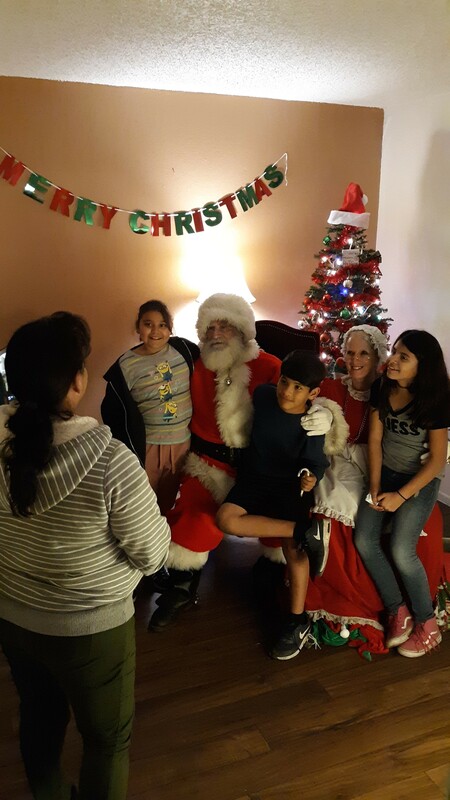 We had Santa and Mrs.Claus come right as the kid friendly activities came to a close. 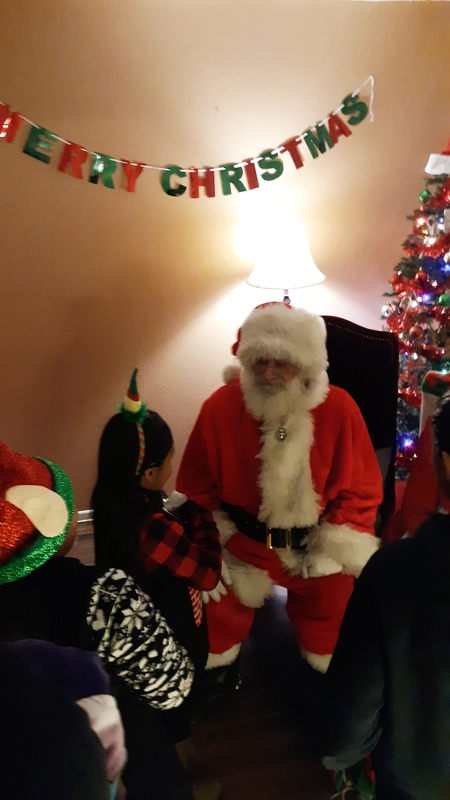 I wish we would have had more pics of the kids realizing who came through the door but we surprised the whole party so everyone (absolutely everyone) was freaking out. 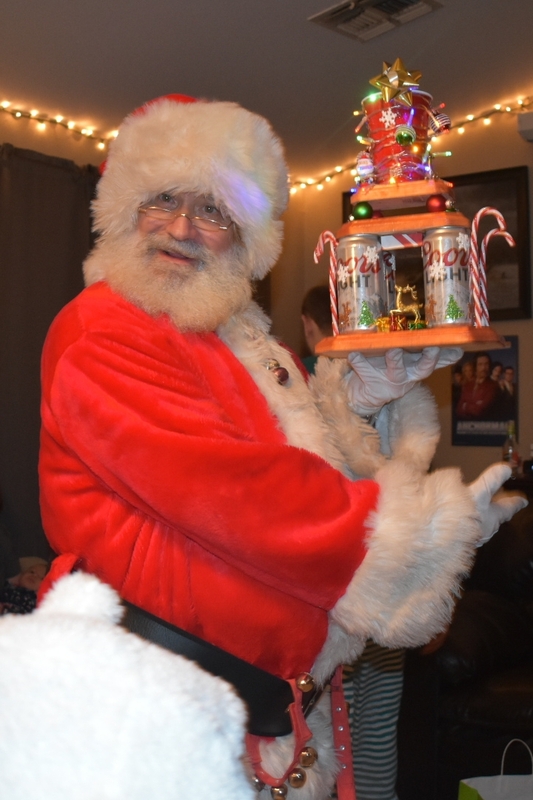 Santa even helped us kick off our Annual Beer pong tournament (We're a bunch of mid to late 20 year olds that simply refuse to grow up.) 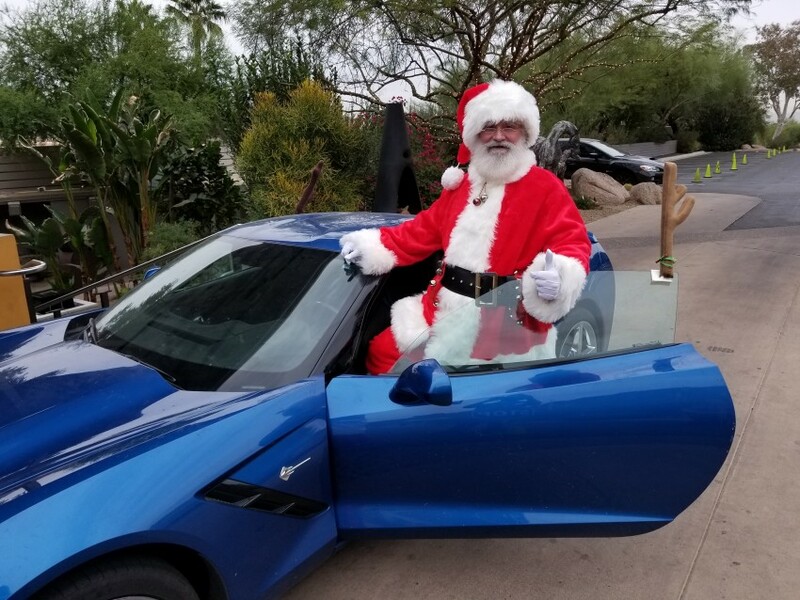 Once kids waived goodbye to the Claus' in the driveway we were able to start their Christmas movie marathon in the other room so the real work could begin, winning that trophy! Thank You All-Star Productions! We will definitely be using you in the future!!! All the kids and adults were a real joy to perform for at your holiday party! Your party was amazing and I would be more more than glad to entertain for you again next year. 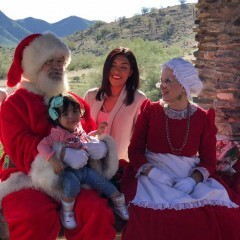 We have used Santa & Mrs Claus for several years at our annual holiday party in our home and every year we get ask by the parents if we are going to have "The Santa & Mrs Claus" . 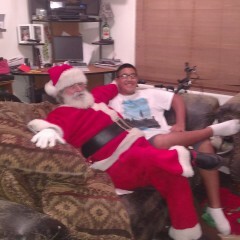 Santa brings smiles and joy to all no matter what the age. Even the teens are excited and all smiles. 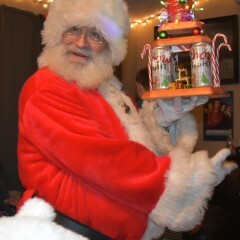 Santa is a BIG hit at our party every year. As always Jennifer, it's a pleasure working with you and booking your entertainment year after year. 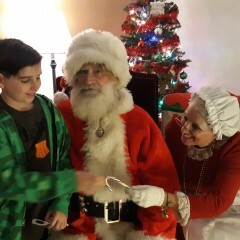 The Real Bearded Santa and Mrs Claus are thrilled to perform for your wonderful family, and stated that your fun group are a real favorite among all the parties where they perform. 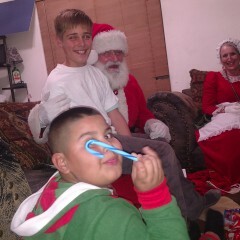 Santa arrived on time, talked to the crowd, did present distribution, and was great with the kids! It was a pleasure & to hear the little ones in our community run around and talk about how awesome it was.....that's a joy. Thanks for the laughs, and Christmas Magic! 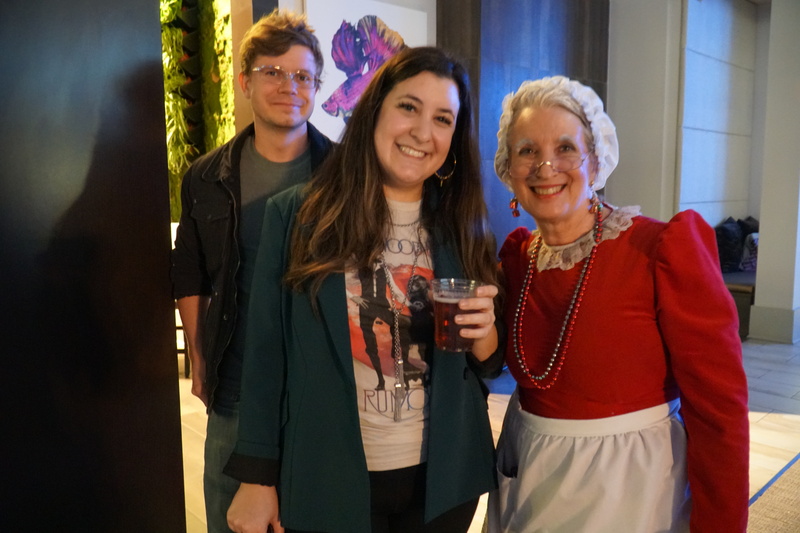 My Staff advised it was Fun, entertaining, & interactive! 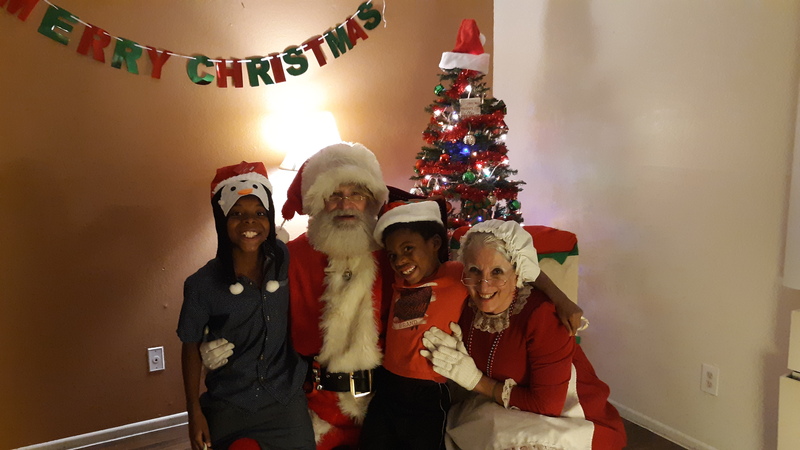 Singing, story time, dancing, and Mr & Mrs Claus even got the adults to enjoy the festivities! If your looking for a great entertainment - You've found it here! The children really enjoyed their visit from Santa Claus. Guys, if you are questioning whether this team does an amazing job, search no longer...stop. 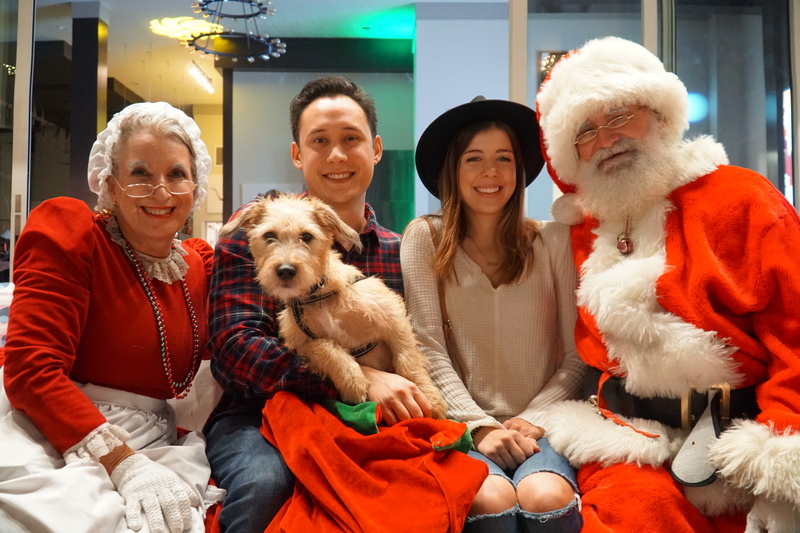 This real bearded Santa and Mrs. Claus, stole the show. All the children were amazed. ..and your family is amazing as well. 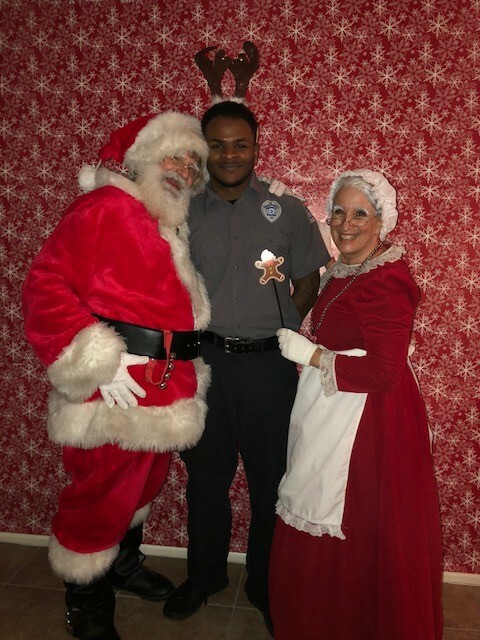 Santa and Mrs. Claus were a great addition to our event. They were easy to work with and did a wonderful job. 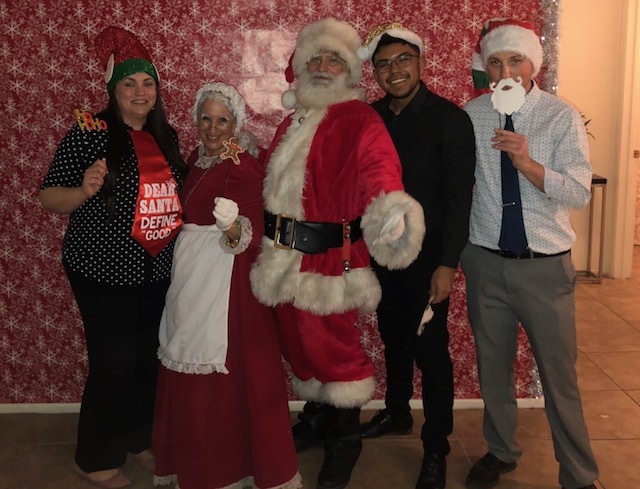 It was a blast seeing 100 employees receive a light-hearted roast from Santa and Mrs Claus. It's been my pleasure working with your personnel and you at Best Western. 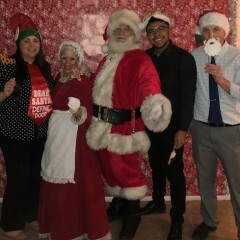 We had Santa and Ms. Claus for our Picture with Santa event. 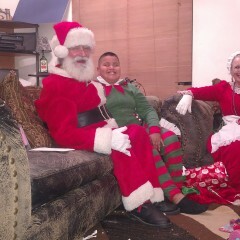 They did a great job as Santa and Ms. Claus - the families and kids loved them. These two were wonderful. Definitely will use them again. They were cheerful and jolly. 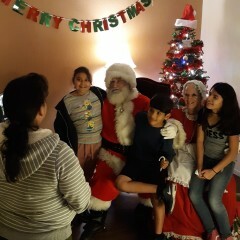 My guests thought Santa and Mrs Claus were a hit! 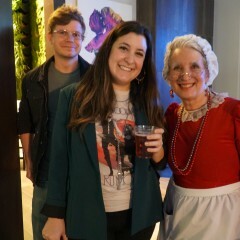 Mrs Claus and I had a terrific time entertaining your guests. You had a fabulous group! Thanks for the review Troy! Worth every penny! These two have the best personalities ever. Such good energy throughout the night we are so thankful. Thank you for making it so magical. We loved working with Maricopa County and you to help find homes for the puppies. 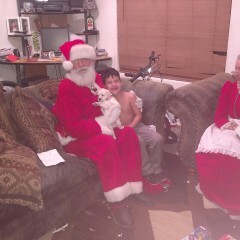 Santa and Mrs Clause did very well! Thank you Bambulas for your response. We are glad that we could get to all the kids in your limited time. Thank you the trio was terrific. Thank you Dawn for your very kind review. We pride ourselves in offering quality entertainers at reasonable rates. We will gladly engage entertainment for you on any future events that you have. Its been a real pleasure working with you! Thank you Julia for the rating! They were great. 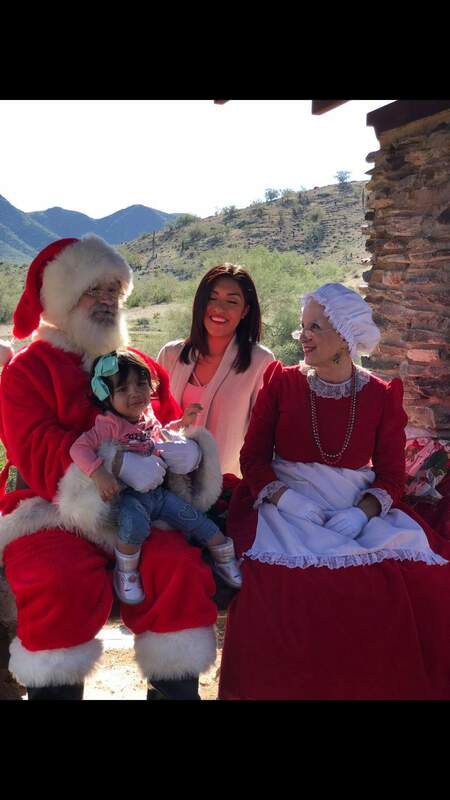 Santa is very animated and Ms Claus was the nice, sweet, calm that the kids could bond with. Loved the songs and watching Santa hop along with the songs was even better. Loved em. Everyone did. They even had the adults involved playing and singing along. They arrived a little late & had to get set up but overall they were good. 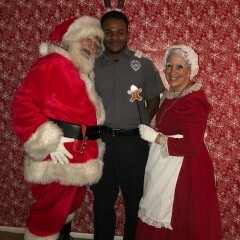 My highest compliments go to Mrs. Claus she was great! Thank you so much for the special review on the Christmas couple and Mrs Claus in particular. They really enjoyed visiting with you patients. They look forward to visiting next year! 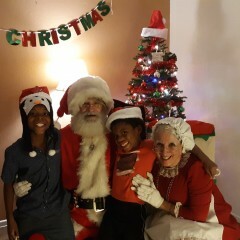 Mr and Mrs Claus very professional and engaging with the kids and families that attended our event. I will defiantly use the company that supplies the entertainment. Thank you Kimberly for your commentary. 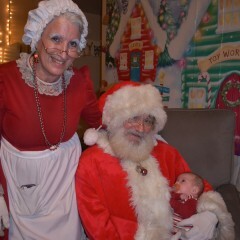 The Real Bearded Santa and Mrs. Claus stated they really enjoyed all that attended your event. They are glad that you enjoyed their performances and would be thrilled to engage your guests again next year! 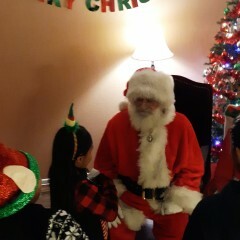 The kids can't stop talking about Santa and Mrs. Claus coming to our party! They are incredible and so fun and lively! If you want to host a party to remember, give All Star Productions a call!!! Thank you so much Lisa, for your very kind commentary. I appreciate your patronage over the last decade, as I will continue to put forth the very best in entertainment performances for your family and you in the future. It is and will continue to be my pleasure working with you! Insurance: $1,000,000 - 1,000,000 each occur., 2,000,000 gen. agg. "Over 32 years of quality entertainment!" All-Star Productions is your best One Stop Entertainment Shop! 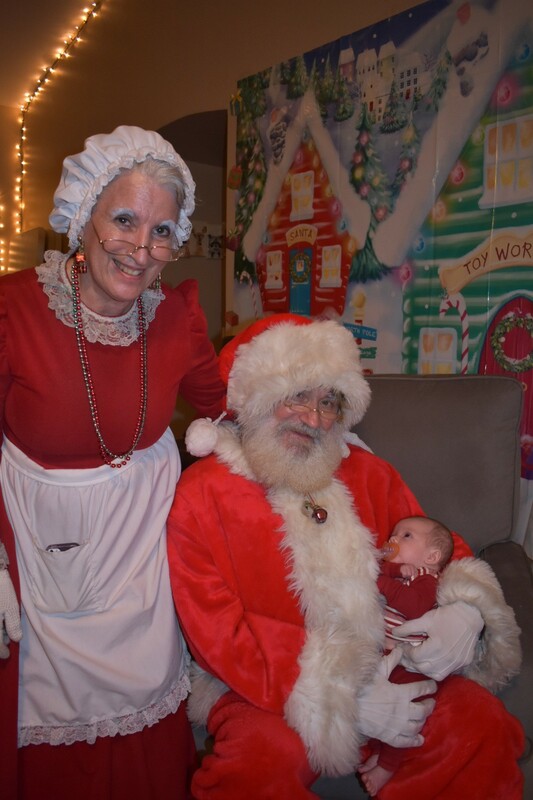 The real bearded Santa & Mrs. Claus is the real Night Before Christmas! Simply the best in fabulous costuming & terrific personalities performing with over 20 years experience entertaining kids & adults! From head to toe, nothing is fake about this Santa: The real white beard, real boots, new professional red crimson quality costume, real round little glasses, white gloves, white eyebrows, red cheeks and a nose like a cherry! 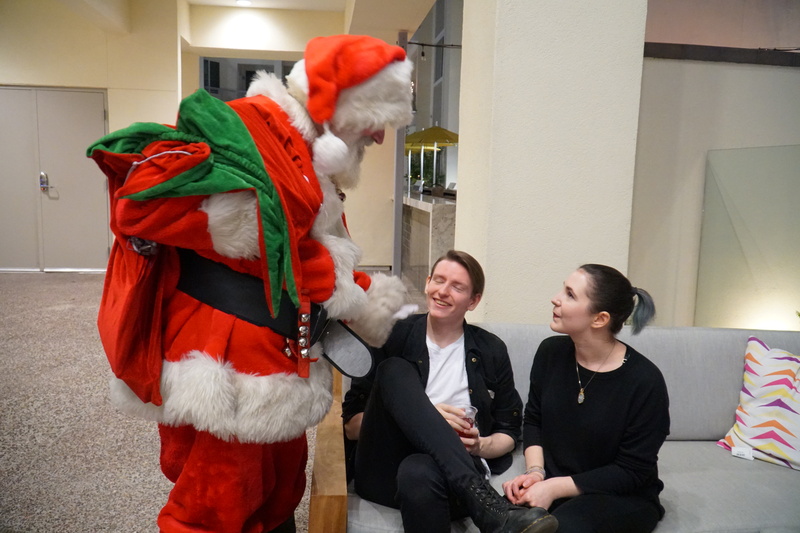 Santa is a professional singer who is excellent at leading your guests in singing Christmas carols. 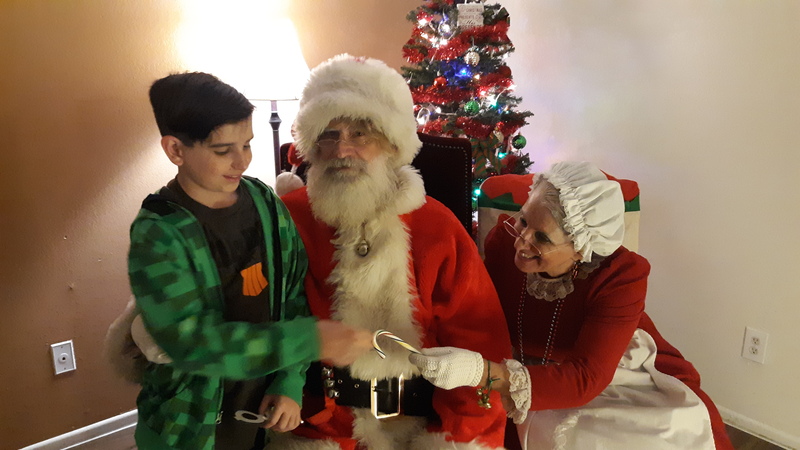 Santa and/or Mrs. Claus can be used to make sure all has been good, finding out what each child wants for Christmas. 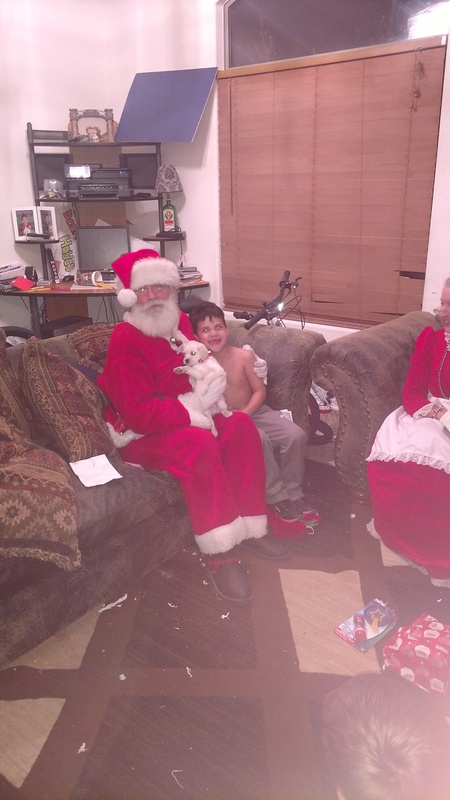 Mrs. Claus is terrific at reading Christmas stories, while Santa plays out the story. 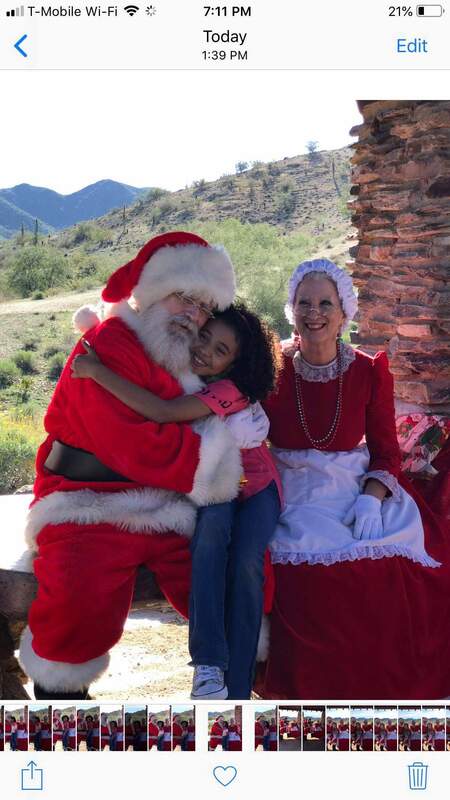 She is perfect for the youngest of kids that are shy at first, but will tend to take to Mrs. Claus right away. The perfect couple for holiday pictures, all at very reasonable rates! 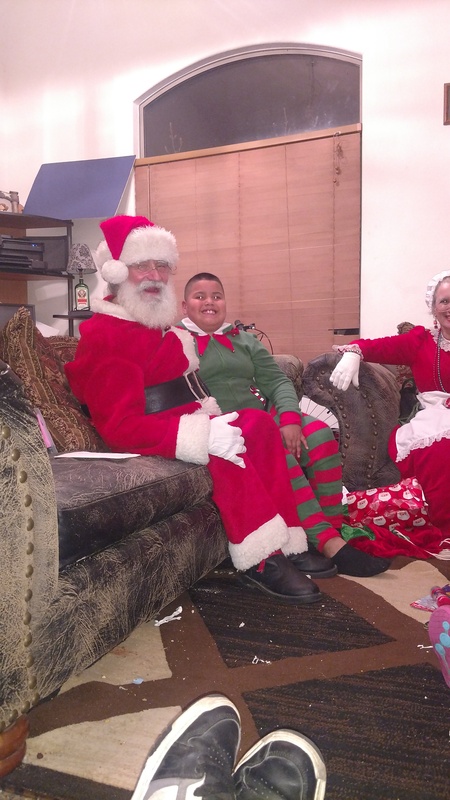 Santa & Mrs. Claus and All-Star Productions are fully insured! December dates are booking fast, so make your reservation today! Keep us in mind for any event, party, or occasions including weddings, bar mitzvahs, church events, private and corporate parties, picnics, special celebrations,proms and graduations. All-Star Productions is fully insured and licensed with the State of Arizona. We also provide quality professional DJ's, plus variety entertainment including bands, mariachis, steel drums, air brush tattoo artist, accordion player, balloon twister, barbershop quartet, Batman, binca binca, caricaturists, caribbean, casinos, characters, Christmas carolers, Cinderella, clowns, cotton candy machine, Darth Vader, dixieland band, dunk tanks, Easter bunny, elves, Elvis Impersonator, face painters, guitarist, inflatables, fortune tellers, harpists, hay rides, Hawaiian dancers and luaus, Henna Tattoos, hypnotist, impersonators, jugglers, keyboardist, leprechaun, magician, Mae West, Marilyn Monroe, M/C, mick mouse, mimes, Mrs. Claus, moonwalks, musicians, obstacle course, petting zoo, photo booths, photographer, pianists, pirates, poker tables, pony rides, Pooh, popcorn machine, Power Rangers, Santa, slides, snow cone machine, Spiderman, super heroes, Superman, human directionals, sign twirlers, singing telegrams and Uncle Sam. 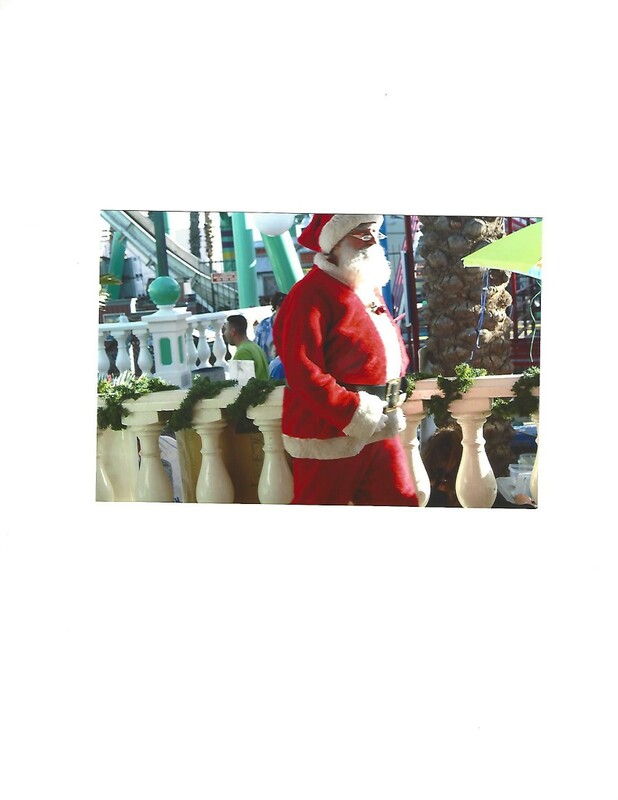 Holiday Characters :Santa,(real bearded) Mrs Claus, elves, Easter Bunny, Leprechaun, and Uncle Sam. We are licensed and insured and are authorized for all Phoenix Metropolitan area Parks & Recreation. Keep us in mind for any event, party, or occasions including weddings, bar mitzvahs, church events, private and corporate parties, picnics, special celebrations, proms and graduations. All-Star Productions is fully insured and licensed with the State of Arizona. Holiday Characters: Santa (real bearded), Mrs Claus, elves, Easter Bunny, Leprechaun, and Uncle Sam. 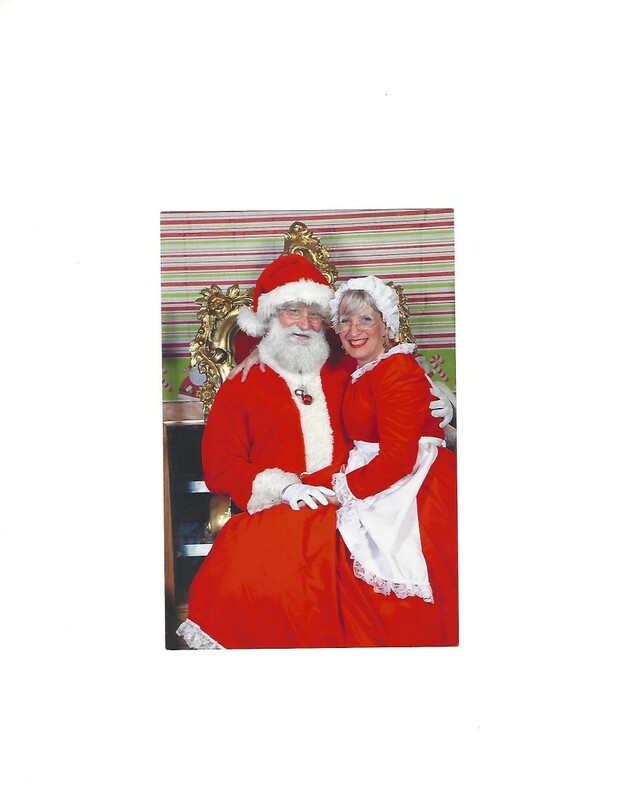 When booking The Real Bearded Santa and Mrs Claus, 2 chirs must be provided. 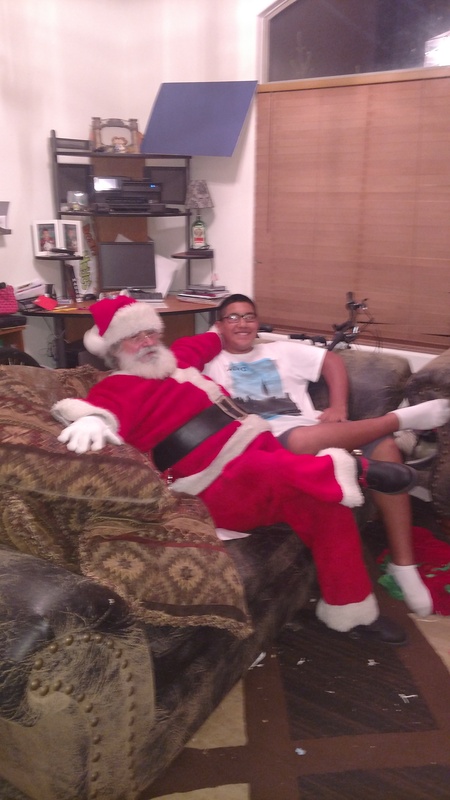 If you are in need of a fancy high back red velvet sturdy armed Santa chair, we have just what you are looking for.Pleas call for a quote and pictures.